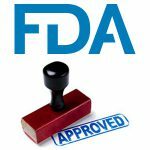 Earlier this week, the U.S. Food and Drug Administration (FDA) approved expanding the use of the immunotherapeutic tisagenlecleucel (Kymriah) to include certain patients with non-Hodgkin lymphoma. Each year, the American Association for Cancer Research (AACR) is proud to bring Associate Members to Washington, D.C., where they meet with legislators and policymakers to discuss issues that are critical to supporting medical research. 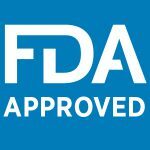 The U.S. Food and Drug Administration (FDA) recently approved expanding the use of the immunotherapeutic durvalumab (Imfinzi) to include the treatment of certain patients with the most common form of lung cancer—non–small cell lung cancer (NSCLC). Last week, the U.S. Food and Drug Administration (FDA) approved the antihormone agent apalutamide (Erleada) for treating men with nonmetastatic prostate cancer that has stopped responding to standard antihormone treatments. On Friday, the U.S. Food and Drug Administration (FDA) approved the molecularly targeted therapeutic olaparib (Lynparza) for treating certain patients with metastatic, HER2-negative breast cancer. The FDA also granted marketing authorization for a test to identify those patients eligible to receive olaparib: patients with an inherited, cancer-associated BRCA1 or BRCA2 (BRCA1/2) mutation. 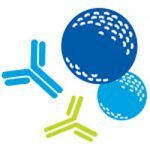 A little-talked-about provision of the 2010 Patient Protection and Affordable Care Act designed to improve access to innovative medical therapies has recently borne fruit for the cancer community in the form of two new therapeutic options for a wide range of cancers—bevacizumab-awwb (Mvasi) and trastuzumab-dkst (Ogivri). The relationship between cigarette smoking and lung cancer was first brought to the public’s attention more than 50 years ago, when the U.S. 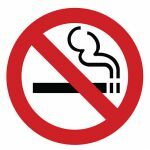 Surgeon General’s report on “Smoking and Health” was published. However, tobacco companies are only now telling the truth about their deadly products, and only thanks to a 2006 court order that they spent more than a decade trying to overturn.